Madness play at the SSE Hydro Glasgow as part of their Sound of Madness UK arena tour on Monday 17 December. With so many hits under their belt it will be a non stop party, as Suggs, Woody and the rest of the Nutty Boys play all your Madness favourites. From ‘House of Fun‘, ‘It Must Be Love‘, ‘Our House‘ and ‘One Step Beyond‘ right up to modern gems like ‘Mr Apples‘ and ‘Can’t Touch Us Now‘ all periods of their amazing career will be covered. Tickets go on general sale Friday 27 April 2018, so check the links at the side to make sure you are there. 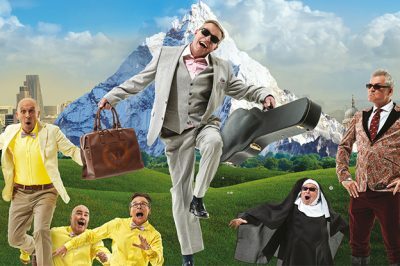 Madness return to the SSE Hydro Glasgow with their latest tour The Sound of Madness - Get tickets and tour information here.